IT Solutions Makes List of Top 100 Managed Service Providers in the World Global Edition. The MSPmentor 501 report distinguishes an elite group of global leaders based on a range of metrics, including annual services revenue growth, revenue per employee, managed services offered and customer devices managed. Such comprehensive data and longevity of its publication lends to MSPmentor’s reputation as the number one online media destination for managed service providers in the world. 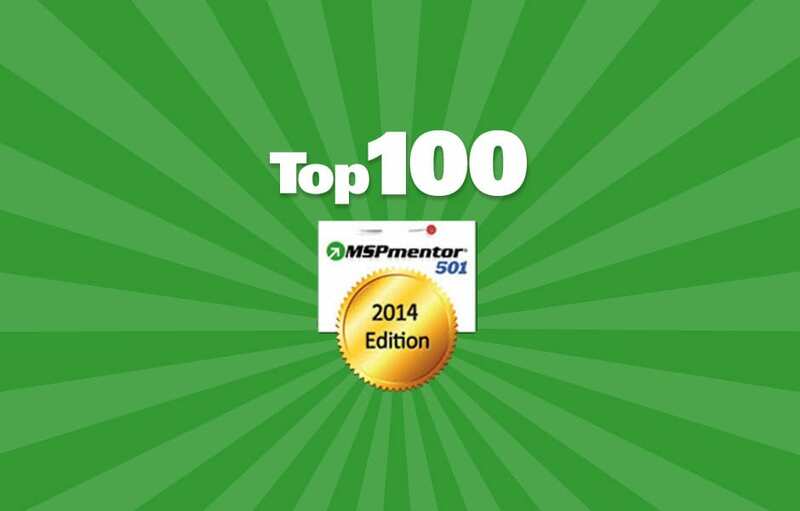 This year IT Solutions ranks 97th on the MSPmentor report, from more than 1,200 applicants worldwide. This is the first time IT Solutions has made the top 100 and despite six consecutive years of progressive ranking on the report, this is the highest ranking the company has achieved to date. “The MSP space is becoming increasingly competitive and to rank among the top 100 world leaders is a benchmark we’re extremely proud of,” said Ted Swanson, CEO, IT Solutions. “This has been a record-breaking year for us and we anticipate similar growth in years ahead,” Swanson added. IT Solutions’ SharedVision offerings provide clients with comprehensive technology management and support options for both on premise and hosted (cloud) networks. Services include but are not limited to 24x7 local helpdesk support, top-notch security and compliance, disaster recovery / business continuity, on-site field engineers and dedicated account management. “Qualifying for our MSPmentor 501 Global Edition puts IT Solutions in rare company and the top 100 is a unique honor,” said Amy Katz, president of Nine Lives Media, a Penton business. Together, the global 501 list of MSPs now manage more than 700,000 servers, according to Jessica Davis, managing editor, MSPmentor. To view the official report, click here. To learn more about IT Solutions’ SharedVision offering, visit the web site, or call 1.866.PickITS. IT Solutions is proud to announce its recognition as a world-leading managed service provider (MSP), according to Nine Lives Media’s seventh-annual MSPmentor 501 Global Edition. The MSPmentor 501 report distinguishes an elite group of global leaders based on a range of metrics, including annual services revenue growth, revenue per employee, managed services offered and customer devices managed. Such comprehensive data and longevity of its publication lends to MSPmentor’s reputation as the number one online media destination for managed service providers in the world. This year IT Solutions ranks 97th on the MSPmentor report, from more than 1,200 applicants worldwide. This is the first time IT Solutions has made the top 100 and despite six consecutive years of progressive ranking on the report, this is the highest ranking the company has achieved to date. “The MSP space is becoming increasingly competitive and to rank among the top 100 world leaders is a benchmark we’re extremely proud of,” said Ted Swanson, CEO, IT Solutions. “This has been a record-breaking year for us and we anticipate similar growth in years ahead,” Swanson added. IT Solutions’ SharedVision offerings provide clients with comprehensive technology management and support options for both on premise and hosted (cloud) networks. Services include but are not limited to 24x7 local helpdesk support, top-notch security and compliance, disaster recovery / business continuity, on-site field engineers and dedicated account management. “Qualifying for our MSPmentor 501 Global Edition puts IT Solutions in rare company and the top 100 is a unique honor,” said Amy Katz, president of Nine Lives Media, a Penton business. Together, the global 501 list of MSPs now manage more than 700,000 servers, according to Jessica Davis, managing editor, MSPmentor.